If a family member has suffered a wrongful death or catastrophic injury, call the personal injury attorneys of Adams & Corzine in Folsom. Don’t face the insurance companies, hospitals, and courts alone. There is nothing more painful than losing a loved one, particularly when the death is caused by the negligence of another in Folsom. The pain and emotional and financial stress of going through the wrongful death of a loved one or suffering a catastrophic injury can be entirely overwhelming, but you do not have to go through it alone. At the Folsom law office of Adams & Corzine, we have guided families just like yours to pursue and get justice for wrongful deaths or catastrophic injury. Although nothing can bring back your loved one, the people who hurt you and your family should be held accountable. Our wrongful death attorneys believe that you deserve to receive fair compensation for your loss and to see that justice is done. Our catastrophic injury lawyers are here to advocate for wrongful death and catastrophic injury victims in negotiations and in the courtroom. Located in Folsom, our experienced wrongful death and catastrophic injury attorneys represent clients in Sacramento, South Sacramento, West Sacramento, Midtown Sacramento, Folsom, Granite Bay, Roseville, Rocklin, Loomis, Citrus Heights, Fair Oaks, Orangevale, Carmichael, Natomas, Rancho Cordova, Rancho Murieta, El Dorado Hills, Cameron Park, Shingle Springs, Placerville, Davis, and Woodland. A wrongful death or catastrophic injury occurs because of the negligence or willful misconduct of an individual or company. Wrongful deaths and catastrophic injuries can also be caused by defective products. 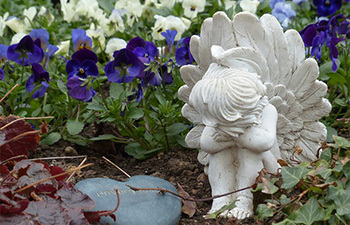 The untimely and unexpected loss or serious injury of a loved one can leave serious emotional and financial burdens. Our Folsom personal injury lawyers are experienced in wrongful death and catastrophic injury cases and can provide the legal support required to achieve justice and fair compensation for your loss, whether in Folsom or across the Sacramento Valley. Automobile, motorcycle, big rig and bus accidents. Workplace and construction site injuries. At the Folsom office of Adams & Corzine, our accident attorneys are here to help you through this difficult time by advocating for your legal rights. There is no doubt that the untimely death or serious injury of a loved one causes emotional turmoil. It can also seriously impact a family’s financial situation and ability to cover medical, funeral, and living expenses. Working with an accident attorney experienced with wrongful death and catastrophic injury cases will ensure you are in the best position to gain the financial compensation you deserve. Future earnings, which is the income that the deceased individual would have earned. Expenses, which include medical bills and funeral expenses. Pension or retirement losses, which help make up for pension or retirement funds lost due to an unexpected death. Pain and suffering, both the pain you have experienced in the aftermath of your loved one’s death and the pain a loved one experienced prior to death. Loss of companionship, recognizes that you are now without an important member of your family. Punitive damages, designed to punish a company or party that has committed gross negligence or willful misconduct. If you have suffered from an unexpected loss or catastrophic injury in Folsom, you deserve adequate legal representation. The experienced personal injury attorneys at Adams & Corzine are here to act as your advocates in court. Call us today to set up a no obligation consultation in our Folsom office to discuss your case and learn about your legal options. Located in Folsom, the wrongful death and catastrophic injury attorneys of Adams & Corzine represent clients in Sacramento, South Sacramento, West Sacramento, Midtown Sacramento, Folsom, Granite Bay, Roseville, Rocklin, Loomis, Citrus Heights, Fair Oaks, Orangevale, Carmichael, Natomas, Rancho Cordova, Rancho Murieta, El Dorado Hills, Cameron Park, Shingle Springs, Placerville, Davis, and Woodland.